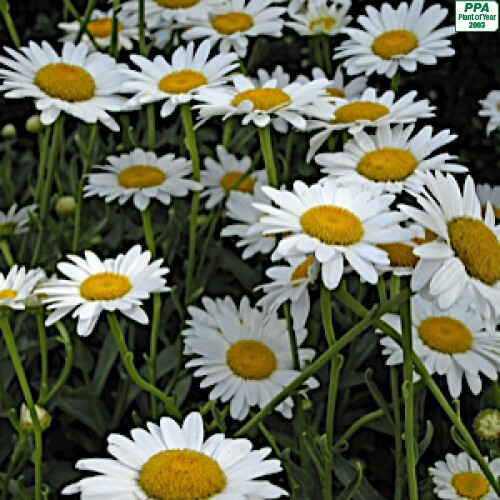 Large white daisies with yellow centers bloom in June and July over shiny, dark green foliage. A great cut flower, it is also stunning planted en masse. 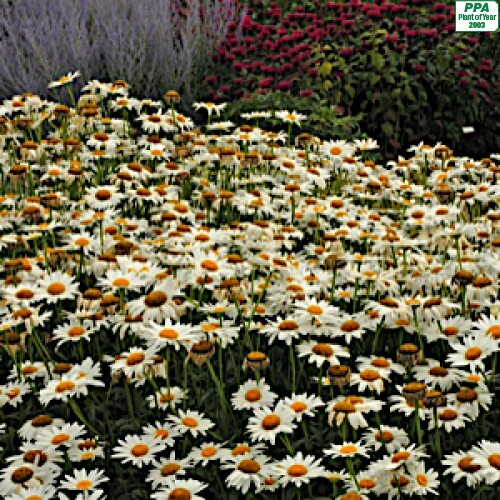 'Becky' thrives in average, well-drained soil and will not tolerate wet conditions. Re-bloom can continue to fall with regular deadheading. 2003 Perennial Plant of the Year™. 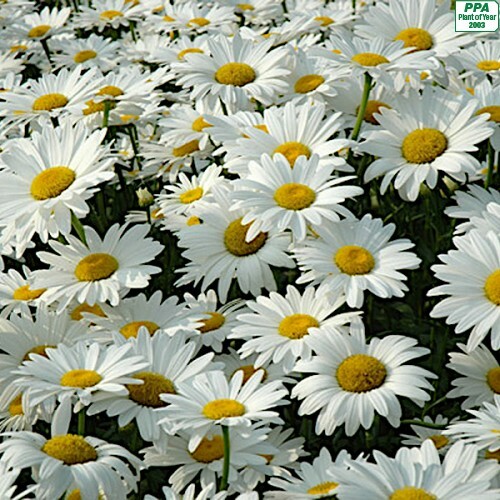 This is the yellowest flowering shasta daisy. Charming semi-double flowers slowly and gracefully cha.. The best of the short shastas. A long-lasting perennial introduced by Alan Bloom. Large pure white d..